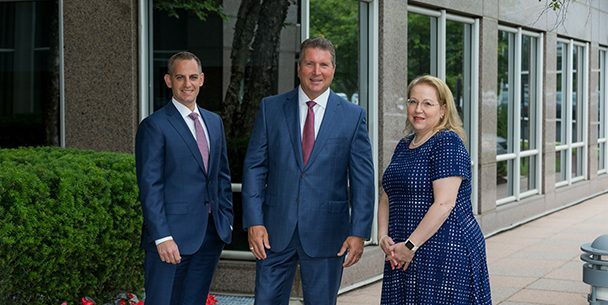 We are an experienced team of financial advisors providing sophisticated counsel and streamlined solutions to a select group of individuals, families and businesses. We are highly analytic and very detail-oriented. You can rely on our in-depth knowledge of investments, estate planning strategies, retirement, tax issues, and risk management to provide you with a comprehensive wealth strategy that integrates investment decisions with your financial needs, your desired aspirations and your deeply held personal values. How did you feel when the market went down last year? What are three things you would like to do to for your family to ensure their security for the future? What do you wish you could spend more time doing now? Next, we do a very detailed and thorough analysis of your answers to structure a wealth plan that is uniquely your own. When we talk with you again, it’s with the goal of helping you understand your choices. We believe it’s our job to unravel the complexities of your financial circumstances and offer simplified strategies that nonetheless take advantage of sophisticated global markets. Keeping your goals in mind, we leverage Morgan Stanley’s best thinking to select investment solutions to comprise your portfolio. From then on, our job is to expect and react to change – to changes in your life as well as to changes in the financial markets. Just as no bull market or bear market is permanent, your life can take unexpected dips and curves. Our staff makes sure that we’re in contact as often as you desire, to continue listening to and ensure that your plan remains aligned with your evolving life and objectives. We make a habit of attending to all the details of your financial life. We believe in diversification and in investment strategies that are characterized by their simplicity, rather than simple solutions. The fact is there is no one kind of investment that is always best. In investment portfolios, as in much else, there is safety in numbers. One of the issues we tackle when a family has significant assets is how to preserve it for future generations. This can be a surprisingly difficult task. Effective multigenerational wealth management requires a family to tackle the personal issues that determine who should benefit from the wealth, the tax hurdles that stand in the way of its efficient transfer, and the capital markets uncertainties that make it challenging to invest it prudently. We understand how to help clients preserve relationships and hold onto assets when they pass among generations of a family. We are skilled at initiating and moving cross-generational financial dialogues forward and helping families create a foundation for passing not just wealth but values from one generation to the next. Tracey enjoys assisting clients of the Mahnken Tambone Group with the myriad transactional needs that arise on a daily basis. She provides prompt, courteous and reliable care in all areas of administrative and logistical support. As a Registered Associate, Tracey enjoys delivering first-class customer service with each interaction. Tracey holds Series 7 & Series 63 licenses. Tracey has been working in the financial services industry since 1982, when she worked as a Trading Assistant for Credit Suisse while getting her undergraduate degree in Business Management from Binghamton University. She went onto graduate school immediately and, for the next four years, she worked on the floor of the New York Stock Exchange by day while earning her MBA from Fordham University at night. Tracey has worked in Morgan Stanley’s retail side since 2005, assisting Financial Advisors and their clients with a diverse array of responsibilities. Risk and volatility are not the same. The biggest risk of the stock market is not being in the market. Glen Mahnken, CRPC® has been helping to meet the needs of individual investors, business owners and their families since 1995. He takes a very organized and systematic approach to working with his clients, and believes strongly in the importance of educating his clients to have a good understanding of their investment portfolios, particularly in relationship to market conditions. Glen is a Chartered Retirement Planning CounselorSM. The CRPC® designation is arguably the nation’s premier retirement planning credential. Individuals who hold the CRPC® designation have completed a course of study encompassing pre-and post-retirement needs, asset management, estate planning and the entire retirement planning process using models and techniques from real client situations. Glen earned his bachelor’s degree of Chemical Engineering from Manhattan College in 1986. He worked as a field engineer for Amerada Hess for eight years, covering the construction and maintenance operations for retail petroleum outlets throughout a very large geographical territory. In 1995, Glen became a Financial Advisor with a regional brokerage firm specializing in tax-free bonds. He joined Merrill Lynch in 1997 and moved to Morgan Stanley in 2016. Outside of work, Glen is and officer and the Secretary of the Suffolk Estate Planning Council and a member of the Nassau chapter of the New Canaan Society. As a CERTIFIED FINANCIAL PLANNERä (CFP®) and Financial Advisor, Steve Tambone brings a unique breadth and depth of industry knowledge and experience to serve the financial needs of individuals, families and small business owners. He consults with clients on financial matters that encompass both sides of the balance sheet, providing solutions for cash management and liquidity access issues, as well as the entire range of traditional portfolio management. He also works closely with the outside attorneys and accountants of his clients to ensure coordination of estate planning, investments and taxes. Steve earned the significant industry designation of CFP® in 2016 after undergoing a rigorous accreditation process. The CFP® certification mark requires CFP® professionals to act in their clients’ best interests above their own, using in-depth knowledge of issues such as the financial planning process, tax planning, employee benefits and retirement planning, estate planning, investment management and insurance. Steve entered the financial services industry with Merrill Lynch after earning a bachelor’s degree in Business Administration from St. Joseph’s College in 2008. He began collaborating with Glen Mahnken after graduation and they formed an official partnership in 2014. During this time, Steve pursued and earned an MBA degree in Personal Financial Planning from Molloy College. In 2016, the Mahnken Tambone Group moved to Morgan Stanley. Outside of work, Steve has been an active mentor with Big Brothers Big Sisters of Long Island for over 6 years. He is also a board member of the Suffolk County Estate Planning Council. Tracey received a BS in Business Management from Binghamton University in 1986. She began work in the financial services industry on the floor of the New York Stock Exchange, as a Trading Assistant for Credit Suisse, and Goldman Sachs, while concurrently attending graduate school, earning an MBA in Finance from Fordham University. Since 2005, Tracey has worked at Merrill Lynch and Morgan Stanley, assisting Financial Advisors and clients with a diverse array of responsibilities. Tracey is a member of the International Professional Business Fraternity of Delta Sigma Pi, volunteers at Make-A-Wish, and Ronald McDonald House. Ready to start a conversation? Contact The Mahnken Tambone Group today.